Antonia Hart's Blog | Observations from a Dublin window, plus reading, writing and hardly any rithmetic. Observations from a Dublin window, plus reading, writing and hardly any rithmetic. I feel as if I’ve talked about nothing else for the last fortnight, my family glazes over when I mention the words ‘ghost signs’. But tomorrow night is book launch night! So here goes. We’ll be in Dubray Books in Grafton Street, the brilliant photographer Lynn Nalty and myself, cracking the metaphorical bottle of champers over the book, and possibly a literal one later. The launch is at 6.30, so if you’re trudging home from work about then and it’s a cold, damp night, drop in to the warmth of Dubray where you’ll be made welcome. The book is available all over the place! Hurrah. Call for submissions for the Bram Stoker Festival 2014. Get a move on though, closing date is 18th July and the festival itself is in October. I saw this ad on AbeBooks a 1927 catalogue: Baxendale’s Pocket Catalogue for the Plumbing and Sanitary Trades – Revised List No. 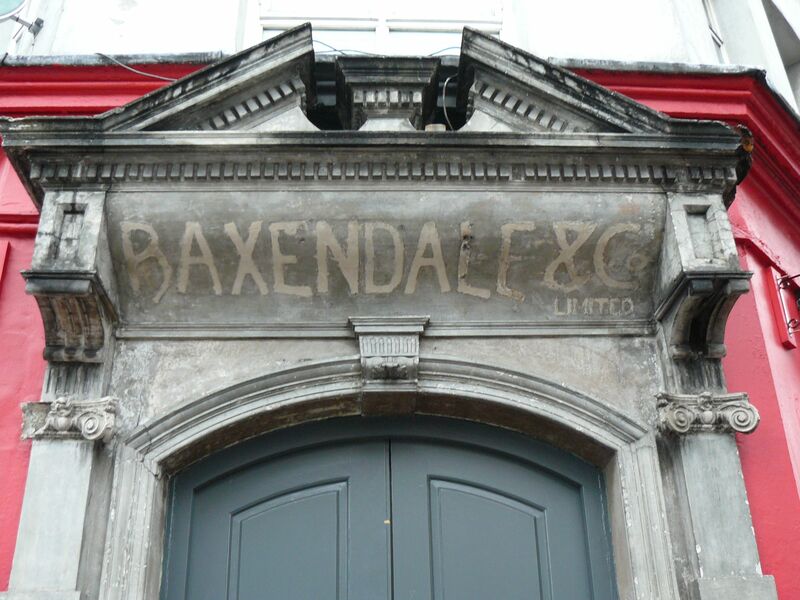 3017 – Baxendale & Co. Ltd. Manufacturers, Merchants, and Shippers to the Plumbing, Building, Decorating, and Electrical Trades. Capel Street, Dublin. Yours for just over a hundred euro, if you’ve a few nicker looking for an outlet. 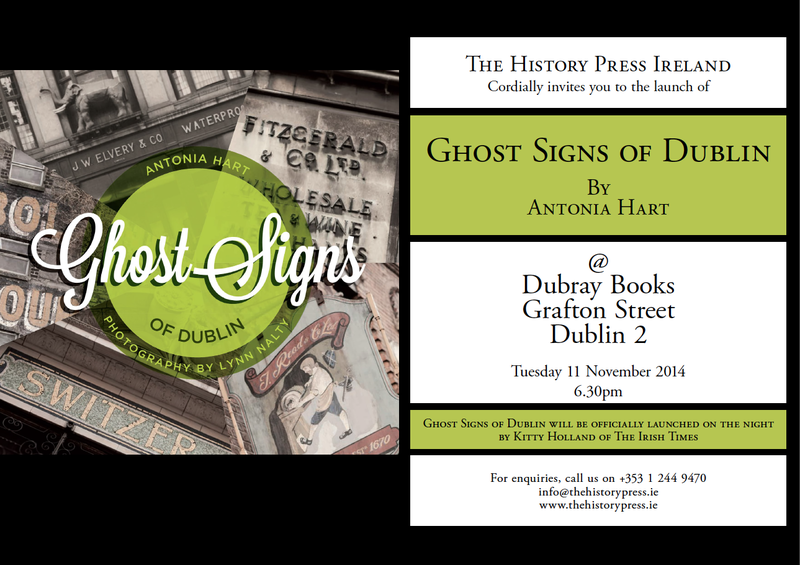 It reminded me of Baxendale’s ghost sign in Capel Street. Love that ampersand. Devastatingly ugly work. 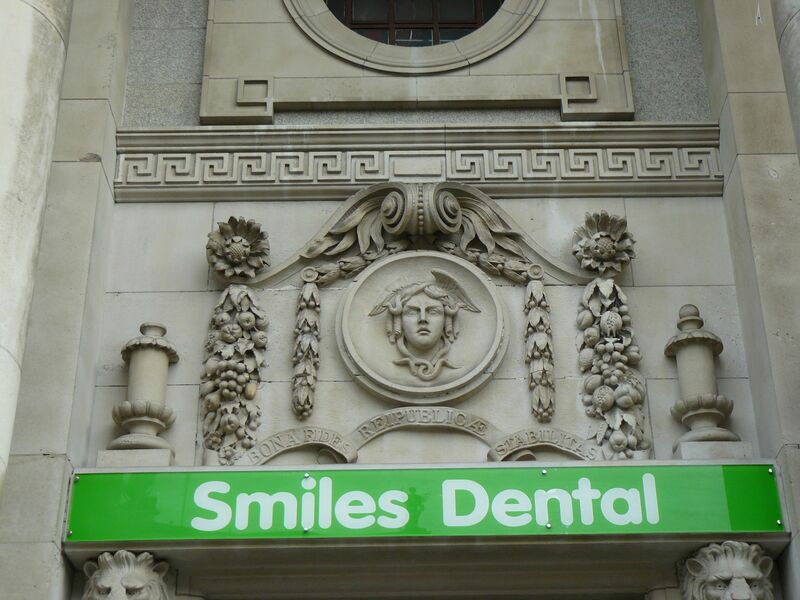 Signs for Smiles Dental riveted to the old Bank of Ireland in O’Connell Street. 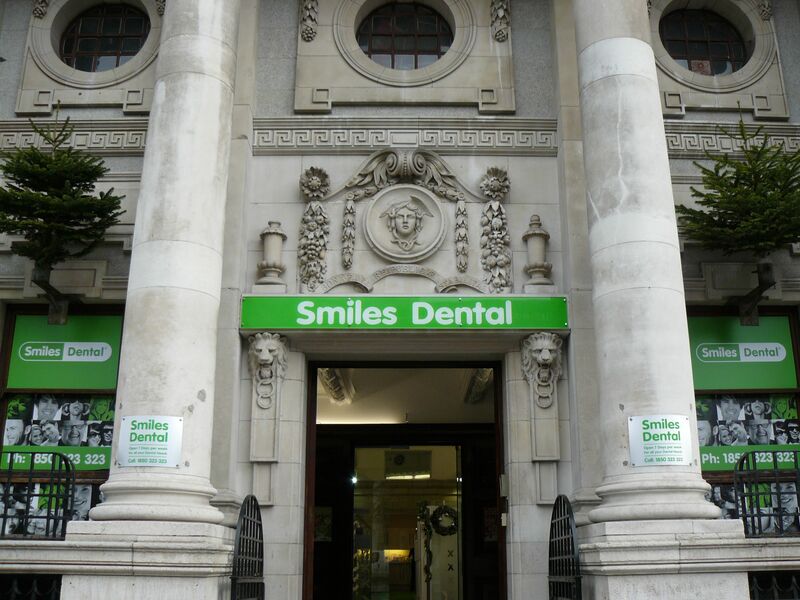 The bank’s motto, Bona Fides Reipublicae Stabilitas (good faith is the stability of the state), seen on the swag over the entrance, used to be on the Irish banknotes. Bona Fides Reipublicae Stabilitas, and some wormy-looking hair. 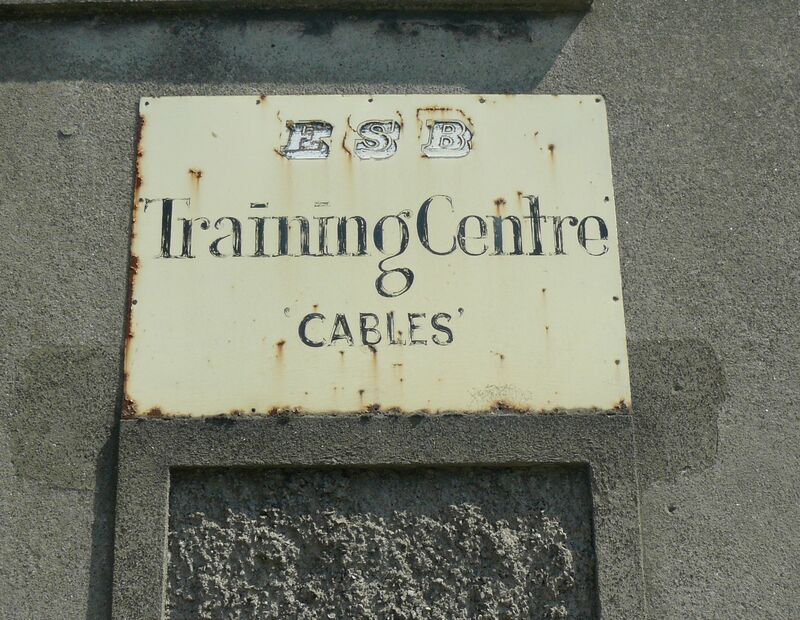 I love the lettering on this old sign in East Wall Road. It looks as if it had been doodled with a biro during a training session. A lovely threshold mosaic on the threshold of 63 South Great Georges Street in Dublin. 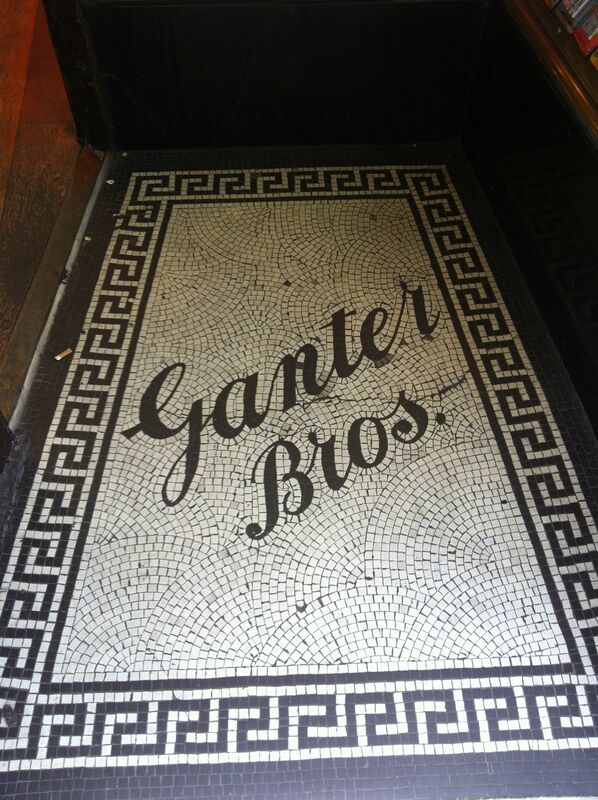 The Ganter Brothers were Bavarian watchmakers who came to Dublin in the middle of the nineteenth century, but the last shop closed in the 1980s. I think there are still Ganter Brothers clocks around the country? Would love to hear of some.